Pakistan has announced plans to develop and produce 5th generation fighter plane, according to media reports. 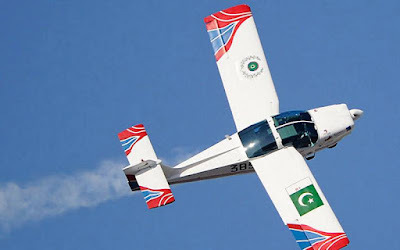 It's part of Pakistan Air Force's highly ambitious Project Azm that includes building Kamra Aviation City dedicated to education, research and development and manufacturing of advanced fighter jets, unmanned aerial vehicles (UAVs) and weapon systems. Development of a new advanced fighter is a wide-ranging effort that will encompass building human capital in a variety of fields including material science, physics, electronics, computer science, computer software, electrical engineering, mechanical engineering, aerospace engineering, avionics, weapons design, etc etc. More recently, Pakistan has also begun to collaborate with Turkey in developing arms. In particular, Pakistan has been mentioned as a prospective partner in the TFX, Turkey’s next-generation fighter effort. Pakistan has announced plans to develop and produce 5th generation fighter plane as part of the country's Air Force's highly ambitious Project Azm that includes building Kamra Aviation City dedicated to education, research and development and manufacturing of advanced fighter jets, unmanned aerial vehicles (UAVs) and weapon systems. It's a recognition that the country can not be truly independent and have real national security unless it can develop and manufacture the arms it needs to defend itself. Pakistan is just starting to do it but it has a very long way to go. Pakistan is also beginning to export defense hardware to developing nations. Pakistan is recognizing the need to develop significant human capital and build a vibrant economy to make progress on this front. What are the features of the fifth-generation fighter? Is it going to be a variant of the JF-17? And what are the aircraft of the first four generations? I am assuming that F-86 was the first generation and F-104/105 was the second generation. At some point came the F-15/16 generation and now the F-35. But that only adds up to four generations. What are comparable aircraft in other air forces to this fifth generation fighter? Ahmad: "What are the features of the fifth-generation fighter?" Generally, any aircraft with stealth capability and advanced avionics with integrated all-digital flight system is considered 5th generation. Examples include US F-35, Chinese J-20 and Russian Sukhoi PAK FA. And here is another ranking. There are some differences between the two rankings but also many commonalities. The US, Russia, Israel, India, China are common. Pakistan does not appear in either of the two rankings. Ahmad: "Pakistan does not appear in either of the two rankings." I am sure that the USAF is the world's best and the RAF is not that far away but much smaller in size and reach. That is also the challenge for the PAF versus the IAF, which is so much bigger. There is no point in underestimating the IAF. I don't think anyone at the PAF does that either. Yeager was assigned as the US military advisor to Pakistan during the 1971 war. I don't know how much weight to put on his comments. He was an intellectual captive of his assignment and had to make his client look good. Ahmad: "That is also the challenge for the PAF versus the IAF, which is so much bigger." Any Air Force that has serious fratricide problem does not belong in any top rankings. USAF exposed IAF on this. Besides, Chuck Yeager is far more credible on this subject than any obscure rankers. One of the reasons that Pakistan failed in all its wars is that it has vastly overestimated is own capabilities and seriously under estimated its enemy's capabilities. It has also assumed that its allies will bail it out of things don't go well. No lessons have been learned, as Air Marshal Asghar Khan has said repeatedly. The PAF is a lot smaller in size than the IAF. So to insist it is second to none and to imply that the IAF is second to everyone is to show the same hubris that has done Pakistan over and over again. I don't know if you have read The Battle for Pakistan by John Fricker. It is a hero friendly portrayal of the PAF in the war of 1965. There are extensive quotations from Air Marshal Nur Khan. He is not bragging but gracefully recognizing the capabilities of the IAF. He also says that he was glad the war ended quickly because there was no way that it could have prevailed over an enemy that was five times larger. Ahmad: "One of the reasons that Pakistan failed in all its wars is that it has vastly overestimated is own capabilities and seriously under estimated its enemy's capabilities. It has also assumed that its allies will bail it out of things don't go well." I'm reading Graham Allison's Destined For War in which the Harvard professor argues that the US has lost 4 out of 5 wars it has entered since WWII. Does that mean the US military is incompetent, inferior and overconfident? Do you think wars are only won by better military performance and military strength alone? Don't you think a win for a relatively smaller power in a contest is in its ability to take on a much larger enemy and survive? Do you think India is afraid of Pakistan in the opinion of many experts e.g. Stephen Cohen because as you continue to insist Pakistan performed poorly in wars? I suggest you read The Art of War by Sun Tzu to get a better sense of the use of diplomacy, deception and military force. Looks like AIP has killed the possibility of a nuclear sub for Pakistan. Hassan: "Looks like AIP has killed the possibility of a nuclear sub for Pakistan." AIP Subs are far more deadly than the nuclear subs because they are much quieter, stealthy and almost undetectable. The AIP system is quieter than the nuclear-powered engines on American and Russian submarines, which must constantly circulate engine coolant. Nuclear submarines are virtually unlimited in terms of range, and are better used for deep-water operations. But Pakistanl has no need for nuclear-powered subs when quiet diesel subs can do the same job, according to Real Clear Defense. Pakistan's nuclear program is a thorn in West's eyes: fact. They will use India as the proxy to take on Pakistan's nuclear program: fact. Before engaging in a full scale war they will neutralize our first strike capability: fact. To neutralize our first strike they don't necessarily need to know the location of all nukes. They just need to neutralize one element in the entire chain from production to final descent: fact. And before they do all this they will start tracking our subs: fact. You are simply displaying ignorance of modern anti-submarine warfare as well as battle tactics if you think limiting a sub within a certain area does not sabotage its stealth capability. Consider that word sabotage again. I am using it on purpose. Too many enemy agents are out there in the guise of so called experts trying to peddle foolish strategies, and subverting public opinion towards ineffective defence choices. You don't want to be one of them. Critic: " You are simply displaying ignorance of modern anti-submarine warfare as well as battle tactics if you think limiting a sub within a certain area does not sabotage its stealth capability." In 2005, The HMS Gotland, a modern AIP submarine serving in the Swedish Navy created havok in war games exercise. The Gotland virtually ‘sunk’ many U.S. nuclear fast attack subs, destroyers, frigates, cruisers and even made it into the ‘red zone’ beyond the last ring of anti-submarine defenses within a carrier strike group. Although it was rumored she got many simulated shots off on various U.S. super-carriers, one large-scale training exercise in particular with the then brand new USS Ronald Reagan ended with the little sub making multiple attack runs on the super-carrier, before slithering away without ever being detected. The 1600 ton displacement Gotland Class was the first operational Air Independent Propulsion (AIP) submarines in the world. AIP system can utilize advanced batteries that are charged by 75kw generators. The Gotland has generators run by a pair of diesel and liquid oxygen fueled Stirling Engines. The result of this unique, yet remarkably simple system is two weeks of submerged air independent propulsion while traveling at about 6mph. Kockums’ AIP system is virtually silent, even in comparison to multi-billion dollar nuclear powered boats that still have to pump high-volumes coolant to their reactors. The Gotland Class hull was specifically designed for high efficiency while producing a very low noise signature and it is coated with sonar deadening materials. She also carries a series of electromagnets to counteract her magnetic signature and can short circuit very low frequency fields on command. Her sail is also covered with radar absorbent material and designers are said to have gone through great lengths masking the boat’s infrared signature even when surfaced. On her interior, every piece of machinery is mounted on a series of rubber acoustic and vibration deadening buffers so as to minimize the accumulation of noise emanating from the craft’s various mechanical subsystems. The Gotland Class boats then participated in open-ocean exercises in the Atlantic where they trounced much more advanced Spanish, French and US players, including a French nuclear fast attack sub and the American Los Angeles Class SSN, the USS Houston. The Acting President, Yemi Osinbajo, on Tuesday in Kaduna unveiled five Super Mushshak trainer aircraft acquired by the federal government to boost the capacity of Nigeria Air Force personnel in the country. The News Agency of Nigeria reports that the five aircraft are among the 10 acquired by the government from Pakistan. Mr. Osinbajo, who was represented by Minister of Defence, Mansur Dan-Ali, said Nigeria would welcome more support from friendly nations in its efforts to mow down Boko Haram insurgency. Mr. Osinbajo stressed that the administration had remained committed to its desire of ensuring a peaceful country. “A firm order of 108 will be put in the final draft of the agreement being prepared,” said an IAF official. India and Russia have yet to finalize the work share for the production and technology transfer. “Defence Research and Development Organization has been involved regarding the work share and transfer of technology, whereas the IAF is involved in finalizing the operational requirements and the number of fighters,” said Daljit Singh, retired Indian Air Force air marshal and defense analyst. The Indian Army has crashed out of a 19-nation military competition after its Russian-origin T-90S main-battle tanks broke down due to mechanical snags in the grueling sport, even as the armoured fighting vehicles from Russia, China, Belarus and Kazakhstan raced ahead to enter the finals. The Army swears by the T-90S "Bhishma" tanks, which are being licensed-produced in India after the first 657 of them were imported for Rs 8,525 crore from Russia from 2001 onwards, though the DRDO accuses the force for cold-shouldering the indigenous Arjun tanks. Sources said both the main and reserve T-90S tanks, shipped by India for the Tank Biathlon in the International Army Games at the Alabino ranges in Russia, developed "engine problems" after performing "exceedingly well" in the initial rounds of the competition. "The fan belt snapped in the first tank. The reserve tank was then deployed for the race but its entire engine oil leaked just two kilometres before the end...it could not complete the race. It was sheer bad luck that led to the Indian team being disqualified," said an officer. China, incidentally, has fielded its indigenous Type-96B tank in the competition, which includes firing on the tanks on the move by machine guns and anti-tank projectiles at a 2-km range while they negotiate rugged obstacles. Russia and Kazakhstan have deployed T-72B3 tanks, while Belarus has a modernized T-72 tank. The four are now competing for the top honours. The T-90S tanks are the fulcrum of the Indian Army's "shock and awe" armoured battle plans. The force has 63 armoured regiments with around 800 T-90S, 124 Arjun and 2,400 older T-72 tanks as of now. After the first 657 T-90S tanks were imported, the Avadi heavy vehicles Factory under the Ordnance Factory Board (OFB) is progressively "producing" 1,000 more tanks with Russian kits. In November last year, the defence ministry had approved the procurement of 464 T-90S tanks from the OFB for Rs 13,448 crore to add to the 536 tanks ordered earlier. The DRDO remains upset+ that the Army has not yet ordered upgraded Arjun Mark-II tanks after inducting the first lot of 124 Mark-I variants, stressing the indigenous tanks did better than the T-90S tanks in comparative trials in 2010. The Army, however, contends that the 62-tonne Arjun, with its excessive weight and width, has poor operational mobility and flexibility. It has also launched a hunt for a "future ready combat vehicle (FRCV)" to meet its requirements after 2027. Astronauts to be sent to space in 2 years. Fifth generation fighter jets to be manufactured in Pakistan in five years. Pakistan to be completely self sufficient in armament and become an exporter by 2020. The first astronaut (the first person to be sent out) should be "Oye Kanjro, Oye Dallio" Rizvi. Does anybody else in Pakistan government (Prime Minister, President, Minister of Defense, Minister of Defense Production, Army, Navy, Senate, Parliament) know about this? It may not all happen in the Air Marshall's timeframe. But notwithstanding the cynics and the skeptics here on this forum and elsewhere, it'll all be accomplished in the future. Pakistan is a large country with lots of very bright young people studying at over 160 Pakistani universities, including Air University where the Air Marshall spoke. I have a lot of faith in them. 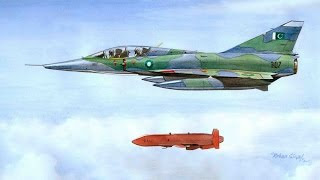 It was a landmark occasion for Pakistan Air Force (PAF) as well as the whole nation, when the indigenously produced JF-17 Thunder shot down a slow speed target with BVR (Beyond Visual Range) and IR (Infrared) missile with a pin-point accuracy at Sonmiani firing range on Friday. Earlier, Air Vice Marshal Haseeb Paracha, Air Officer Commanding, Southern Air Command received the chief guest on his arrival at the venue. High ranking PAF officers along with civil and military officials also witnessed this historic event. China will upgrade Pakistan Air Force JF-17 Thunder multirole combat aircraft with the KLJ-7A active electronically scanned-array (AESA) radar, according to a 28 March report by the China Daily newspaper. Hu Mingchun, head of the Nanjing Research Institute of Electronics Technology (NRIET) in Jiangsu province, was quoted by the state-owned paper as saying that the newest version of the KLJ-7 fire-control radar (FCR) will substantially improve the combat capabilities of the aircraft. “Our product will tremendously extend the fighter jet’s detection range, giving it a much longer sight that will help it detect the enemy’s aircraft before they do; and this is very important, because in real combat if you see first, you fire first,” he said. In comparison to current-generation mechanically-steered radars, AESA radars provide key defensibility gains against electronic warfare (EW) jamming and enemy radar detection. Instead of relying on a single array that transmits a different frequency per-single-pulse, AESA radars utilize many arrays – i.e. transmit and receive modules (TRM) – that can each transmit in a different frequency. In unison, these TRMs enable a single AESA radar unit to transmit in different frequencies simultaneously. East Pendulum was informed by NRIET deputy director Wang Hongzhe that the KLJ-7A has a range of 170 km, though it is unclear if this is against 5m² RCS (radar cross-section) or 3m² RCS targets. It can track 15 targets and engage four simultaneously. Though equipped with 1,000 TRMs, it is not known if the KLJ-7A’s TRMs are built from gallium arsenide (GaA) or gallium nitride (GaN). In China, NRIET is competing with AVIC’s 607 research institute – i.e. Leihua Electronic Technology Research Institute (LETRI) – for the PAF’s Block-III contract, which is expected to comprise of 50 new-built aircraft. LETRI is pitching an air-cooled AESA radar, which omits dedicated liquid-cooling systems, thereby providing valuable space and weight benefits optimal for lightweight fighter platforms. Leonardo’s Selex ES division had pitched the Vixen 1000E AESA radar as well, though industry analysts are skeptical that the PAF will select the Vixen. The PAF’s JF-17s are equipped with the SD-10 beyond-visual range (BVR) air-to-air missile (AAM) and C-802 anti-ship missile (AShM). These necessitate direct linkage to the radar for pre-terminal-stage guidance. It is unlikely that either side will cede their respective source codes to make linkage between Chinese munitions and European radars possible. The PAF is also hoping to eventually manufacture AESA radars domestically at PAC. Proceeding with NRIET and/or LETRI for the JF-17 could set the stage for those entities to assist Pakistan in its efforts, which will be an integral aspect of Project Azm, which envisages developing and producing a 5th-generation fighter for the PAF. It is unlikely that Leonardo would be as forthcoming in this regard. The statement outlined an ambitious scope, to say the least. However, one would be right to be skeptical considering that Pakistan lacks the industrial inputs necessary to design and develop such a fighter. There are a handful of countries in the world with all those inputs; in most cases, a foreign partner is needed. This is the most realistic scenario because — besides the fact that China is Pakistan’s top defence partner — but because China is the most accessible turnkey industrial power available to Pakistan. One can argue that besides the US, France, Russia, and China, there are no countries that can contribute to any part of a next-generation fighter. But for Pakistan, the US, France, and Russia are non-factors in this respect. The evolution from the F-7M to the Super-7 was evident and Grumman’s involvement was to improve existing design to become even more better. Grumman was very good at during the design stages and inputs of avionics as well as weapons system. The design elements was evident in how it evolved and Grumman played a major role on design testing. When sanctions was slapped on China, Grumman pulled out which led to China going on its own to further develop the Super-7 for the last 10–13 years. Major design changes was tested on F-7 Airguard such as the aircraft below. China had to test new design approach to see the best results in overall flight improvements. In summary, the JF-17 was not from the F-16 but there was an element of F-16 technology in the JF-17 such as the Fly-By-Wire, mechanical actuators in the rear and fin as well as modification of the tail from Super-7 to that of similar design to the early model F-16. The JF-17 is very much a hybrid of the Super-7 which was then a hybrid of the F-7 which was a copy of the MiG-21…A great DNA though. The Chinese and Pakistanis did a very good job of turning and improving a 50s architecture and made it into a modern jet fighter at minimal cost of development of only US$500 million. Its just to show that modernising an aircraft to become a much more lethal of today do not cost a huge amount of money. The JF-17 has proved it…With the Block III, its considered a 4+ generation fighter, along the lines of the Dassault Rafale, Eurofighter Typhoon and Gripen! Project Sabre II was the Pakistan Air Force's program to develop a feasible and low-cost multirole combat jet based on an existing design—the Chengdu F-7 Skybolt, a Chinese variant of the MiG–21PFM. The Pakistani Air Force (PAF) initiated Project Sabre II in 1987, hiring the American aerospace firm Grumman, to provide crucial expertise to refine the baseline aircraft design along with specialists from the PAF and the Chinese People's Liberation Army Air Force (PLAAF). After studying the Sabre II concept with Grumman, the PAF terminated the program as unfeasible on economic grounds. Grumman withdrew from the project after sanctions were imposed by the United States on the China after Beijing's suppression of the Tiananmen Square student protests in 1989. A embargo on military aid to Pakistan imposed by the United States further hampered the Sabre II development effort in the 1990s. In 1995, Pakistan and China began a collaboration which led to the successful JF-17 Thunderprogram. The idea of developing an indigenous fighter in Pakistan goes back to the 1980s when Pakistan hired Northrop Grumman to help develop Sabre II as replacement for its aging fleet. Chinese were also involved in it, Then the US imposed sanctions on China and Pakistan that forced Grumman to withdraw from the project. .
Pakistan picked it up again during Musharraf years to develop JF17. Pakistan Air Force inputs based on its knowledge of F-16 have heavily influenced JF-17 design. Development and production of the Pakistan Aeronautical Complex/Chengdu Aerospace Corporation (PAC/CAC) JF-17 “Thunder” Block III multirole fighter aircraft is reportedly underway, the chief designer of the fighter jet, Yang Wei, said at press conference in China last week. “All related work is being carried out,” Yang was quoted as saying by Chinese state media. “The third block will see the JF-17’s informatized warfare capability and weapons upgraded.” As I reported previously, JF-Block-III fighter jets are expected to receive the Chinese-made KLJ-7A active electronically scanned array (AESA) radar system. It would be the Pakistan Air Force’s first AESA-equipped fighter aircraft. JF-17 Block III aircraft will reportedly also feature a new electronic warfare system, upgraded avionics including a three-axis fly-by-wire digital flight control system, and a helmet-mounted display and sight system. With its new integrated sensor package, the aircraft will have the capability for quick information sharing and network-enabled operations that facilitate earlier detection and interception of enemy aircraft. When discussing the start of aircraft production, Yang was most likely referring to the manufacturing of the JF-17’s airframe, with PAC reportedly producing 58 percent and CAC 42 percent of it. The development status of any of the new Block III subsystems is not known. However, once the Nanjing Research Institute of Electronics Technology (NRIET) completes development of the new AESA radar system, it “can be fitted on the airframe very fast, ensuring a quick delivery time,” Yang emphasized. JF-17 Block I and Block II aircraft, of which the PAF operates around 85 in total as of March 2019, have been fitted with NRIET’s older KLJ-7 X-band fire control radar. All three JF-17 variants are powered by a Chinese license-built Klimov RD-93 (an RD-33 derivative) turbofan engine. The JF-17 has an approximate combat radius of up to 1,200 kilometers without refueling and can reach a maximum speed of up to Mach 1.6. The JF-17 costs $25 million per unit, although the Block III per-unit price is expected to go up as a result of the new subsystems, including the expensive new AESA radar system. The PAF intends to procure up to 50 new Block III aircraft. During a recent military standoff with India, a PAF JF-17 may have engaged an Indian Air Force fighter jet. Who will buy the JF-17? The JF-17 Block 1 and 2 models. Both versions are very capable. Able to conduct air-dominance mission equipped with short range and medium range missiles. This could probably be the JF-17 Block III with some elements of new design to the existing air frame. It is quite amazing that the JF-17 Thunder has potential growth….Once it was from the DNA of Super 7, which was a DNA of the MiG-21. From that design to this with some modifications has transform the JF-17 into a modern design. Amazing. The Iranians did theres on the trusted F-5E Tiger II but it did have the same DNA after slight modification to the twin tail. But for the JF-17, it was a big transformation. It is have a strong supply chain management from Pakistan and China. The jet with this price should be a formidable player on the fighter market. Countries in Asia, Middle East and Africa are evaluating the jet. Here is a list of countries that is evaluating the JF-17 Block 3: Saudi Arabia, Bulgaria, Albania, Malaysia, Sudan, Egypt, Lebanon, Iraq, Oman, Algeria, Morocco, Argentina, Peru and Jordan. Malaysia is currently evaluating the JF-17 alongside the F/A-50, Tejas and M-346 FA under its RfI for light combat aircraft. Saudi Arabia has shown great interest in the Block 3 model with a potential order of up to 120 jets. That would certainly beef up the Pakistani income and provide Saudi Arabia a very capable machines to fly alongside its more expensive and high technological jets like the Eurofighter Typhoon and F-15SA Eagle. Nigeria has taken on 3- jets for evaluation and has an option on 21 jets as per various sources.